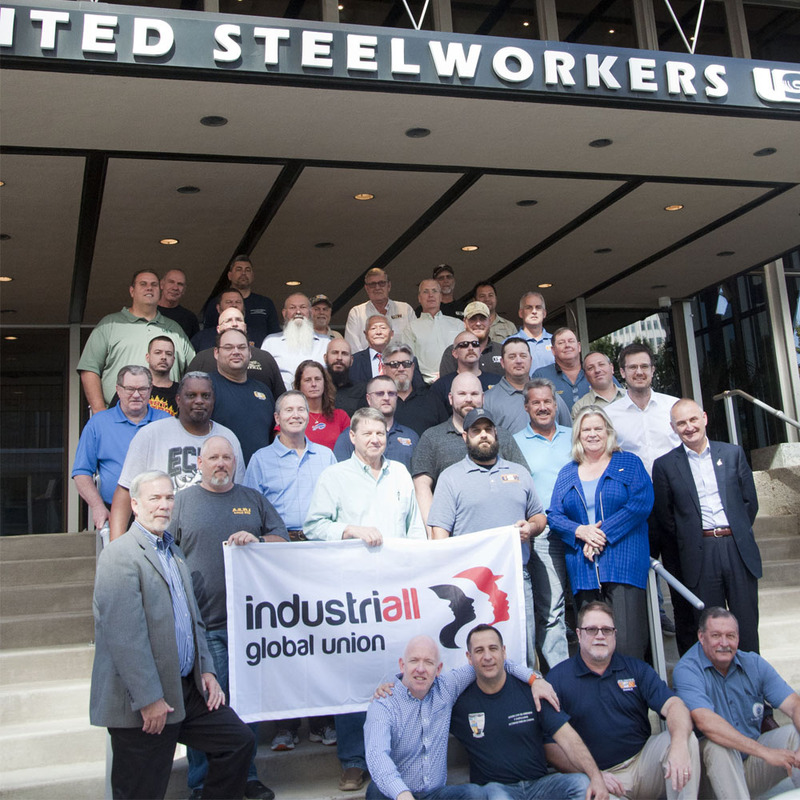 Union leaders representing thousands of workers employed at DowDuPont companies from the United States and around the globe met last week in Pittsburgh to discuss common issues and pledge unity. “We are speaking not only for the unionized employees of DowDuPont but also for the non-union employees who don’t have that voice. DowDuPont workers from around the world are rightfully concerned about taking a step back in their livelihood at a time of record profits for the corporation, and we are preparing action items to address these concerns,” Holsing added. The DowDuPont union leaders shared collective bargaining data, identified mutual obstacles and determined potential solutions over a three-day period. Much discussion focused on the pending split of DowDuPont and its potential effect on staffing, working conditions, and employees’ pensions, benefits and insurance. Other discussion topics included workplace safety, organizing, and the need for increased and proactive communication between the corporations and its respective unions. The labor leaders strengthened their unions’ international connections, and their interactions increased mutual respect and understanding across DowDuPont’s unionized worksites. Representatives from these unions participated in the annual meeting: The United Steelworkers (USW); the International Union of Operating Engineers; Texas City Metal Trades; the International Chemical Workers Union Council/United Food & Commercial Workers; National Conference of Firemen & Oilers; the Ampthill Rayon Workers Incorporated (ARWI); the Dow Chemical European Employee Forum; the Dow Chemical-Stade Works Council (Germany); UNITE the Union (United Kingdom); the Global Union Federation IndustriALL (Geneva, Switzerland), the Union of Workers and Employees Petrochemicals States-SOEPU (Argentina) and the Chemical, Energy and Mines Workers Union CEMW SPSI (Indonesia).